Sky High Style . . . For so long, whenever anyone visiting Dallas wanted to know where to go, I skipped telling them about Reunion Tower, even though—thanks to the TV show Dallas—it had become a landmark. Despite the amazing views from the observation deck, the interior spaces had seen better days. Then, it further fell off my radar when the tower was shut down in 2007 for renovations. Now, just in time for its 35th anniversary, Reunion Tower is back, and it's been worth the wait. 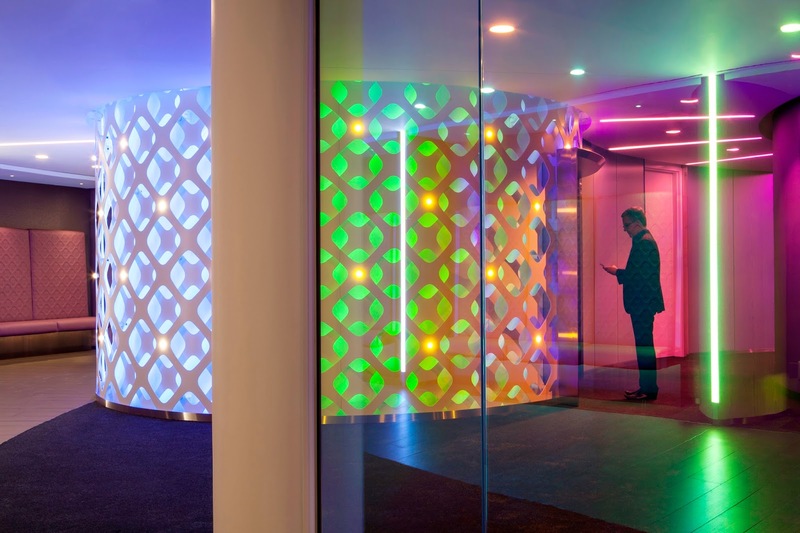 The last two remaining floors, including the new GeO-deck and Cloud Nine cafe, recently re-opened, with a dazzling redesign carried out by Dallas-based Gensler. 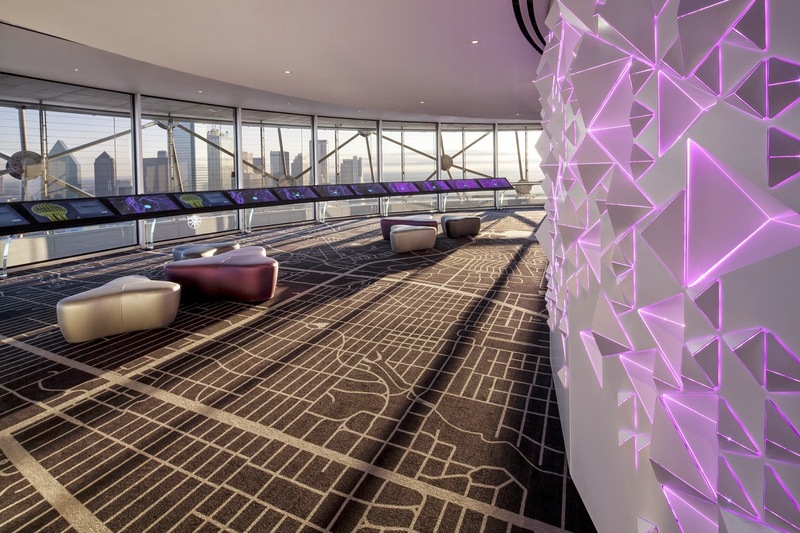 Using the rotating sphere as inspiration, designers and architects at Gensler transformed the observation deck and cafe, using LEDs and beautiful materials and furnishings. They also teamed up with San Francisco-based Stimulant, a firm that specializes in the latest, state-of-the-art interactive technology. 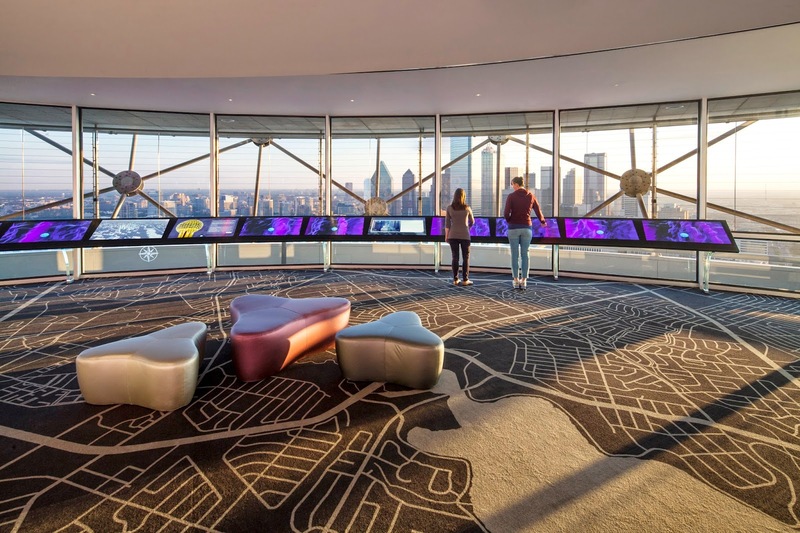 The observation deck's 360 degree view is enhanced by 46 touch screens that allow you to pull up real-time information about what you're seeing, thanks to HD cameras mounted outside the tower. 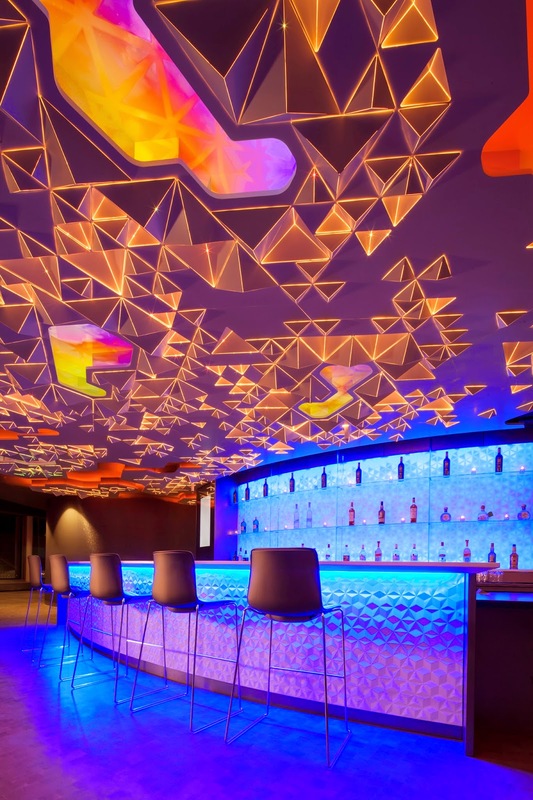 The Big Sky installation on the ceiling of Cloud Nine cafe streams real-time, 3D simulations of the city's weather patterns—can you imagine what it would all look like during one of Dallas' explosive thunderstorms? 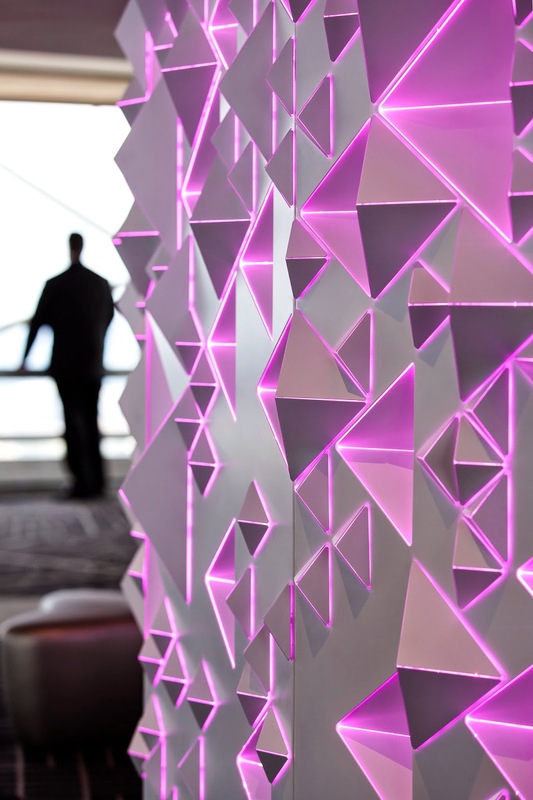 GeO-deck LED detail; Photo by Andrew Bordwin. 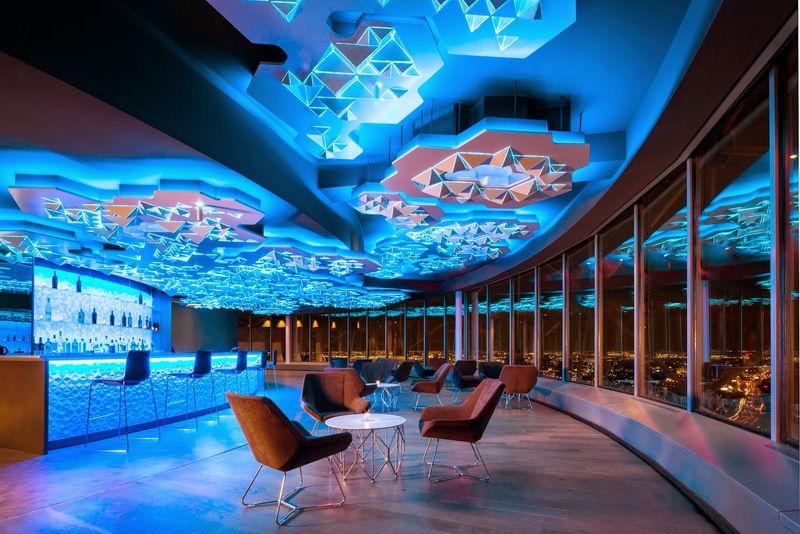 LED clouds in the ceiling at the Cloud Nine cafe feature digital weather scenes; Photo by Andrew Bordwin. Bar at Cloud Nine cafe; Photo by Andrew Bordwin. 68 seconds to reach the top; Photo by Andrew Bordwin. 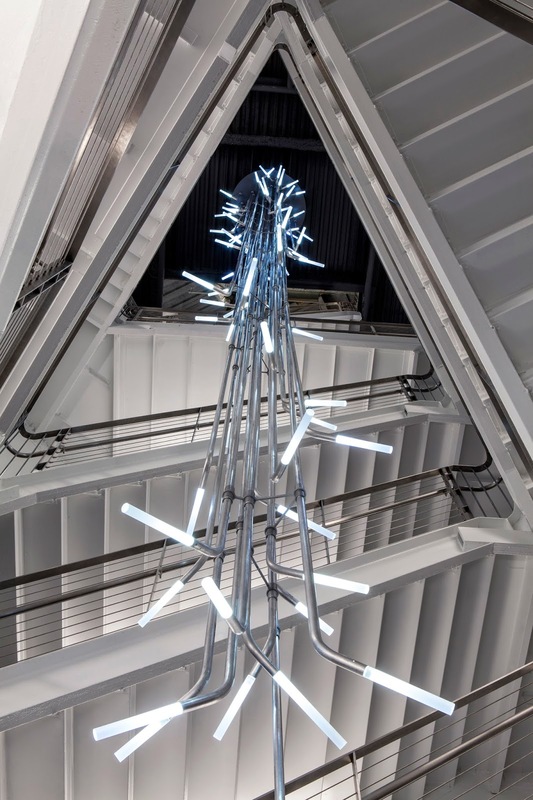 Stairwell and lighting fixture connecting the GeO-deck and Cloud Nine cafe; Photo by Andrew Bordwin. to explore in real time; Photo by Andrew Bordwin.